Table Top Hot Bain Marie Manufacturer & Supplier in India, Table Top Hot Bain Marie in India. We offer a wide range of service counter with Table Top Hot Bain Marie in India. 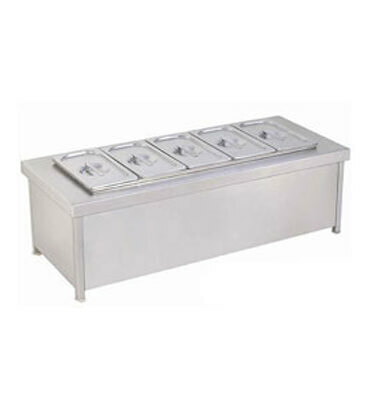 These efficient service counters have open shelving system and are available with hot Bain Marie in India and tray slide in India that find wide use by party rentals and caterers.